The year 2013 was pivotal in Cadillac’s recent resurgence and although it’s still early it’s looking like their incredible momentum will continue through 2014. 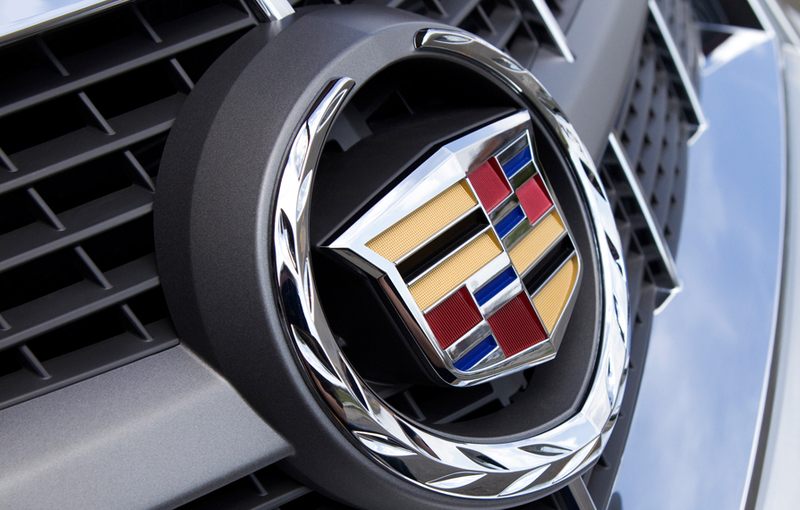 As GM’s top luxury brand and iconic symbol of the American auto industry, the stakes are high for Cadillac to change the playing field and re-establish itself as a top global brand. During the 90s and early 2000s, the brand’s relevance took a major hit as rivals such as Lexus, Audi, BMW and Mercedes-Benz offered some very compelling models. 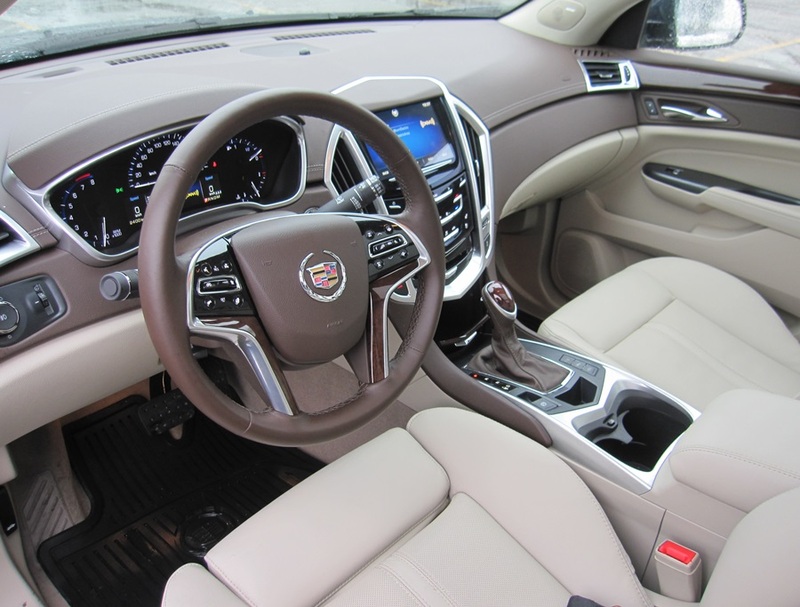 However, over the last few years GM has focused heavily on bringing stellar new technology and designs to Cadillac which has resulted in a series of award-winning models such as the performance focused V-Series, CTS and ATS. Last year, we reviewed the multi-award winning Cadillac ATS which was a dream to drive in the summer with its manual six-speed transmission. 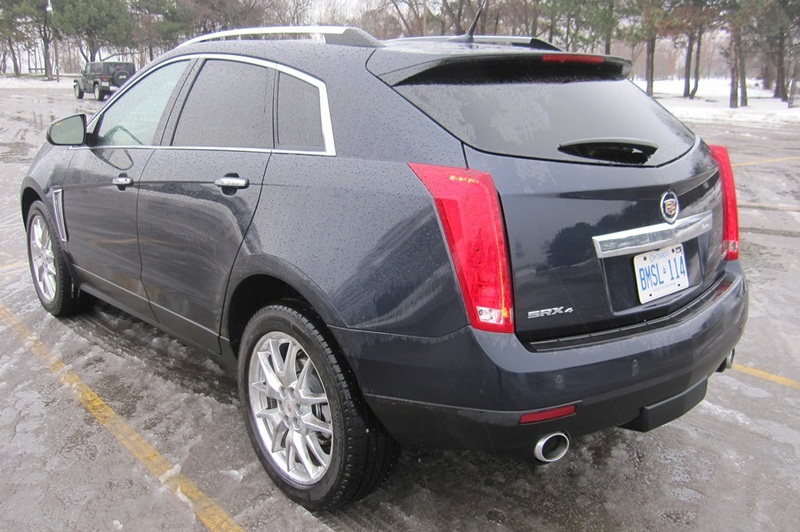 Well, now its winter and it made sense to take a look at Cadillac’s SRX crossover. The SRX’s interior includes two rows of seating which provides ample space for five passengers. 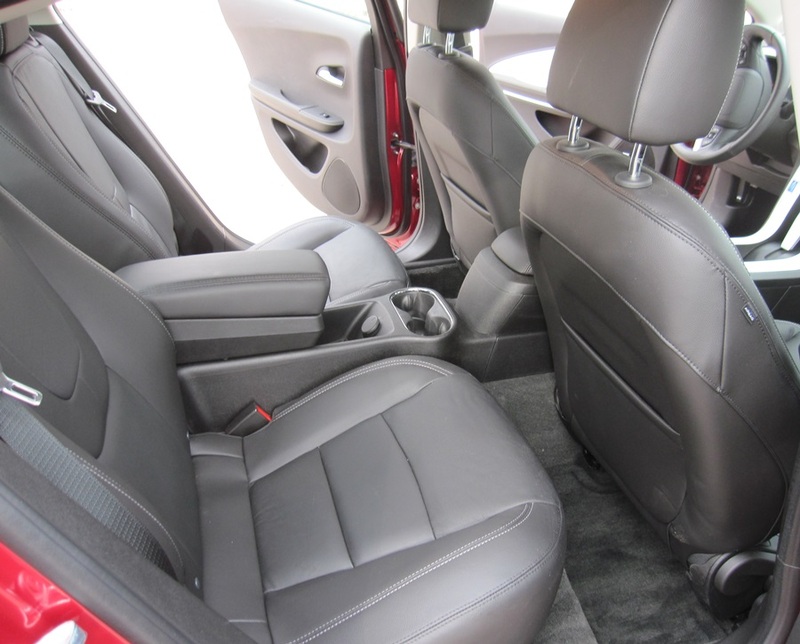 The leather seats are very comfortable and include electronic extendable thigh bolsters in the front seats. 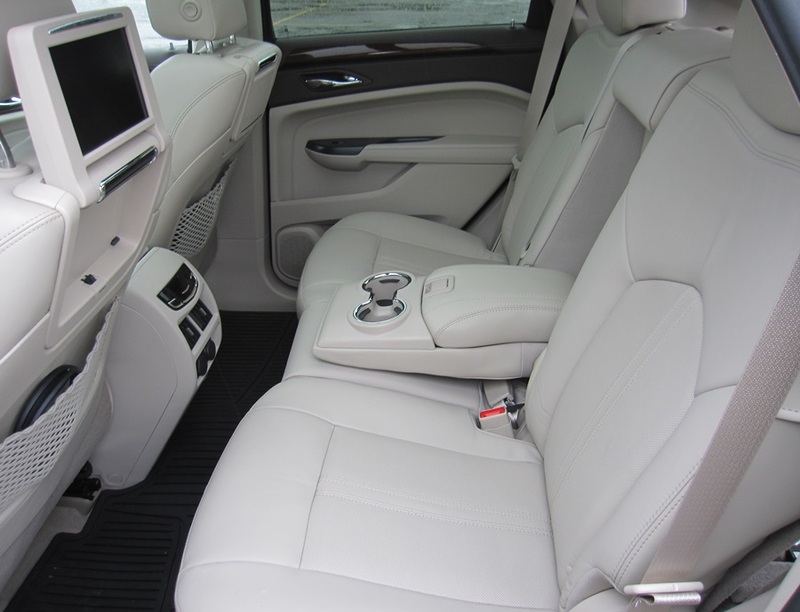 The wood trim and high-quality interior materials make for a high-end look and feel. Under the hood all SRX models come with a 308-horsepower, 3.6-liter V-6 engine paired to a six-speed automatic transmission. The engine makes its peak torque at 2,400 rpm providing enough low-end torque to accelerate onto the highway or to overtake a slower vehicle. With a 0-60 time of 7.1 seconds the SRX is quick for a vehicle that weighs in the range of 4,500 pounds. 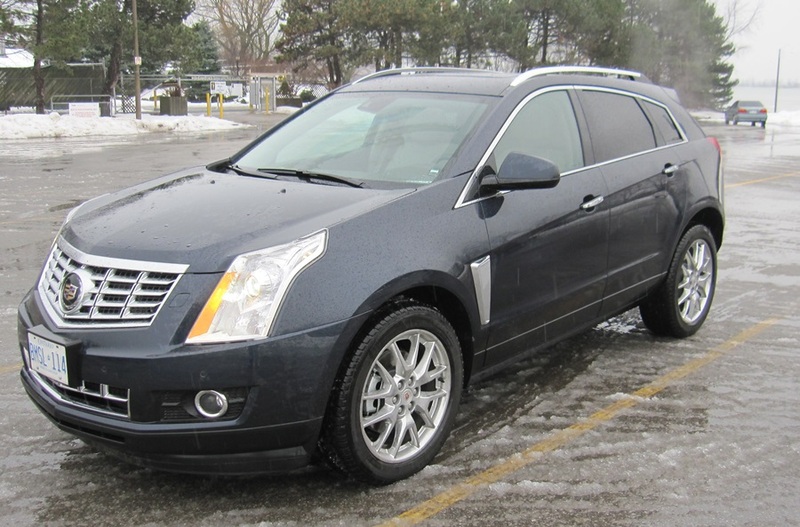 Our tester was an SRX Premium AWD model, the top of line trim level available and comes in at $55,640 CDN MSRP. This is significantly higher than the base FWD model which starts at $40,285 MSRP so you need to weigh the value of all the extra features. However, both prices are in line with its current competition and the SRX’s warranty is very solid. Our tester came equipped with some amazing features; GM’s very slick CUE infotainment system which includes enhanced steering-wheel and instrument-panel controls, plus an eight-inch touch screen interface. The touch-screen is motorized and can flip-up to reveal a hidden storage cubby. CUE can pair up to ten Bluetooth devices, and incorporates all the latest technology including standard HD radio and Bose’s Centrepoint® premium 10-speaker surround sound system. In addition, other features include Ultra View sunroof, three-zone climate control; adaptive forward lighting that swivels the headlamps in sync with vehicle steering; on-board power with 2 USB ports, SD card slot auxiliary input jack and 12-volt power outlet; a power lift-gate with adjustable height setting; and a dual-screen video system for rear entertainment. Cadillac remains one of the most iconic brands in North America and as a result its place in pop culture is immense. There are so many musical cultural references to Cadillac from both past and present (Elvis Presley, Jay Leno, Ludacris,Travis Barker). However, the biggest one recently comes from Seattle rapper and recent Grammy winner Macklemore’s song titled White Walls which chronicles the singers’s love and appreciation for this American icon. The song’s video captures this vibrant Cadillac spirit as it showcases different Cadillac’s from various eras in all their restored glory. The SRX includes 29.9 cubic feet of storage with seats folded forward or 61.1 cubic feet of storage with the rear seats folded down. 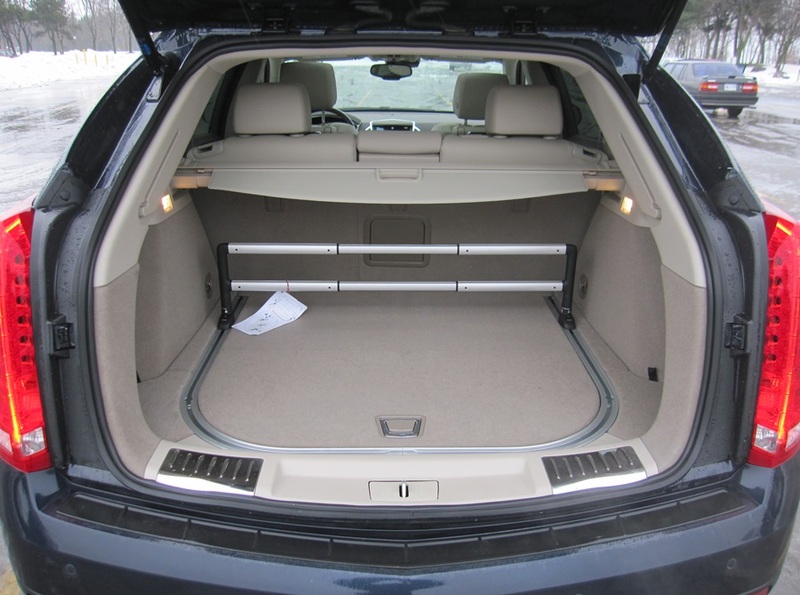 Our tester came equipped with the Cargo Management System which includes a U-Rail system, which uses a floor-mounted metal track and an adjustable cargo fence to help keep items in place. Also included are an innovative concealed under floor storage bin and an air-conditioned glove box. The North American mid-sized luxury crossover/SUV market is a crowded one and Cadillac continues to have many strong competitors including; Audi Q5, Mercedes-Benz GLK, Lexus RX 350, Infiniti QX50, BMW X3 and Land Rover Evoque. Despite the ever-increasing stiff competition, the Cadillac SRX remains a top option for consumers looking for a luxury crossover. It brings so much with its five-seat, front-drive/AWD options, latest technology, many safety and road refinement features, all matched with a luxurious interior style. 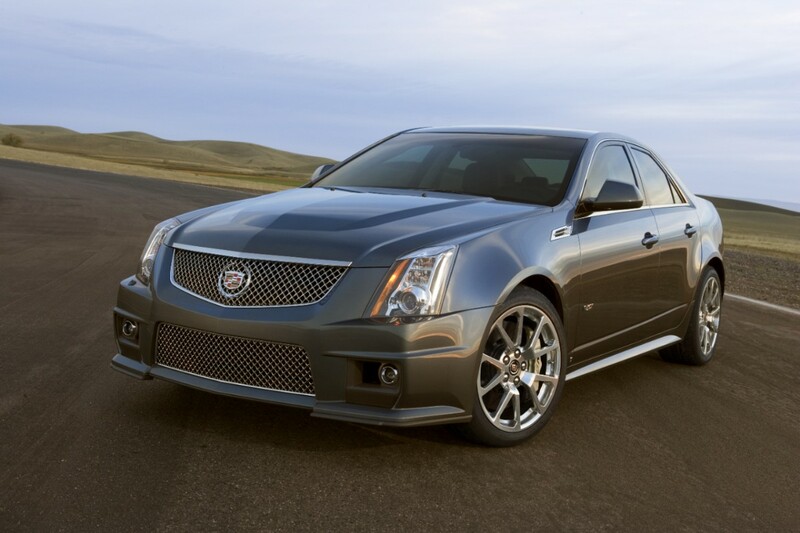 It also does not hurt that many of its styling cues are taken from a mix of the beautiful CTS and Escalade. Driving the SRX you really notice the amount of engineering that has gone into this vehicle from its lack of body roll to the enhanced power steering which combine to offer a European feel. Along with this, a spirited 0 to 60 time, the SRX’s size and ride height make the car feel solid and safe in all driving conditions. Overall, the 2014 Cadillac SRX’s unique blend of luxury, refinement and driver confidence provides a top-notch choice for those consumers looking for a luxury crossover. 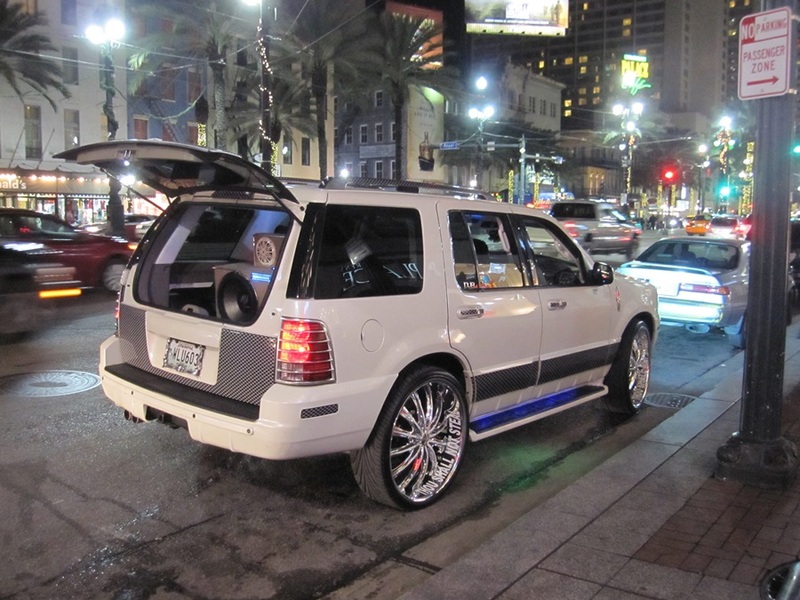 Over the holidays, we headed to New Orleans for some fun in the South and of course we were on the lookout for anything auto related. Here’s a little taste of what the “Big Easy” had to offer. As the hometown to many of today’s biggest Hip Hop stars it was only suiting we snapped some pics of the Louisiana “bling” its stars have made famous. 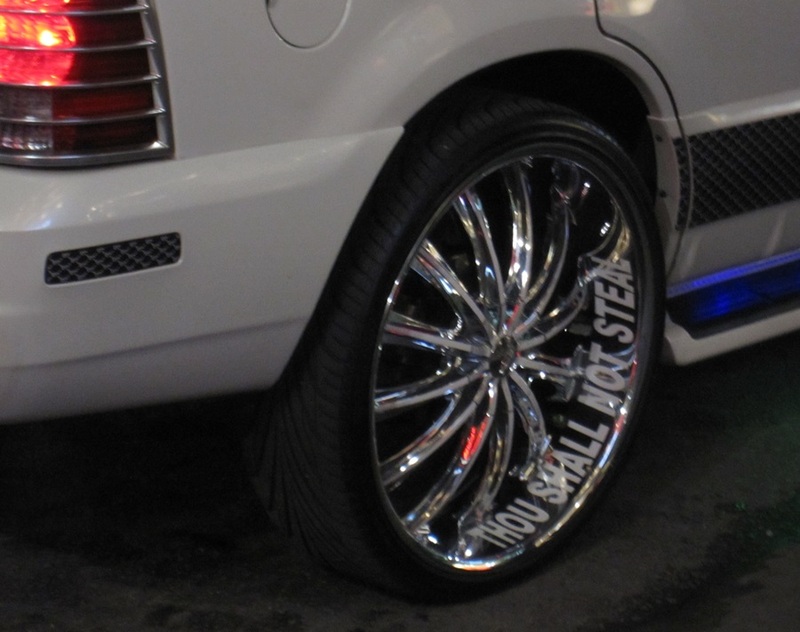 Check out these big rims and big stereos which are always in style down here. With Louisiana bordering Texas there is no shortage of Texas plated cars in town especially over the holidays. 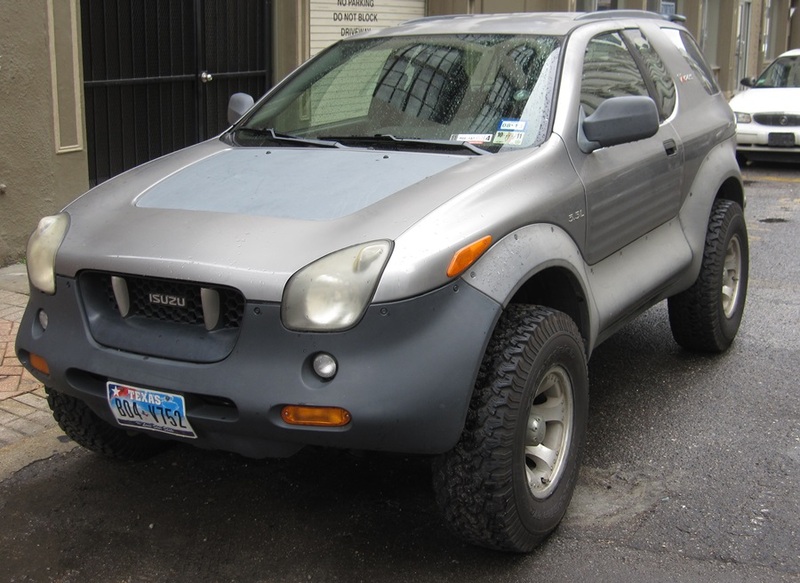 This was an interesting find, an Isuzu two door 4×4 that we are sure never came to Canada. 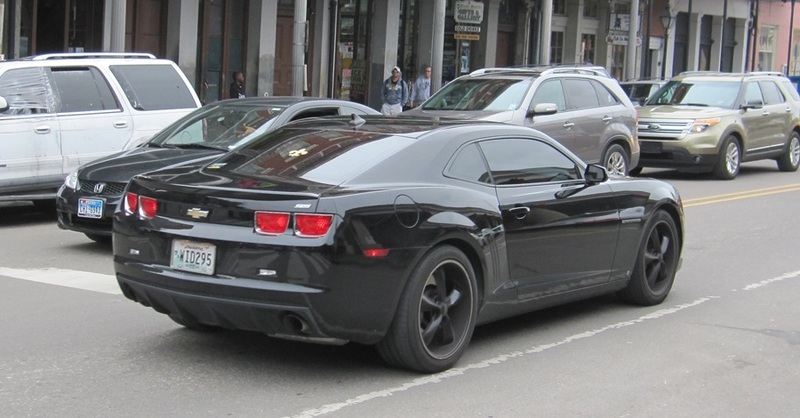 In spite of the weather being unseasonable cold there were lots of Chevrolet Camaros cruising the New Orleans streets. Here’s a nice black SS model. 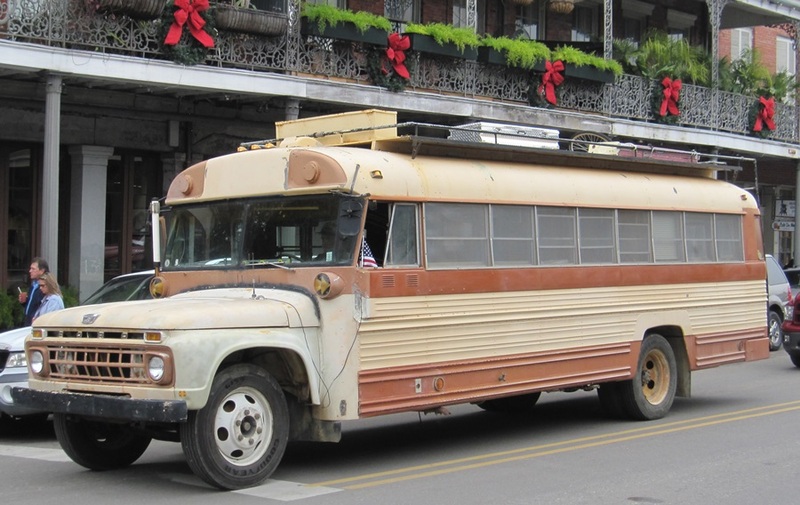 Here’s one classic Southern style RV – the converted bus that never gives up. 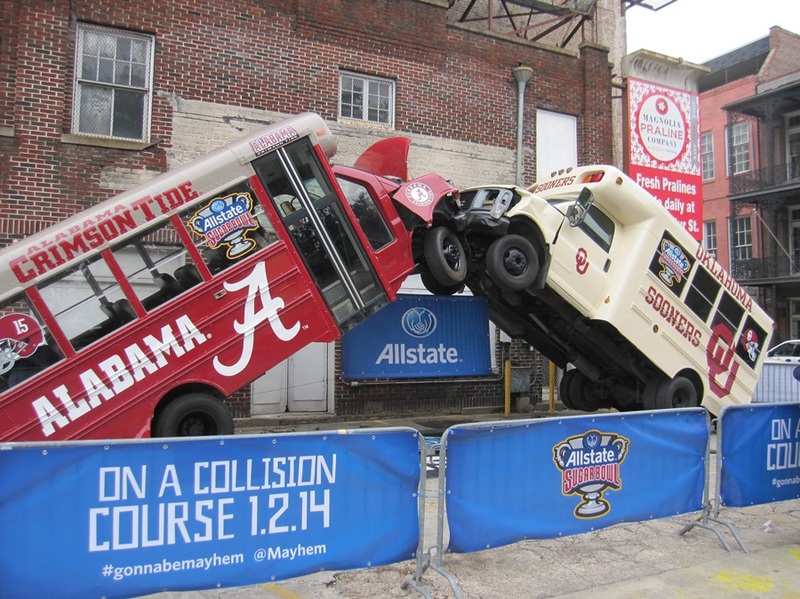 We had the opportunity to check out our first college football bowl game which was an epic battle between Alabama and Oklahoma with the underdogs Oklahoma coming out on top. Unfortunately, New Orleans has seen it’s fair share of misery in recent years. 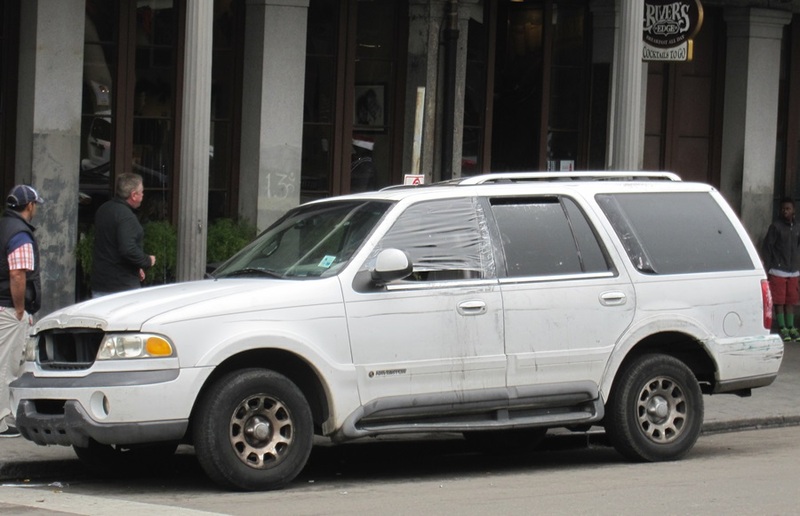 This truck symbolizes the city’s struggle with its scars and dents of which some are likely as a result of Katrina. Throughout the French Quarter you see all types of performers but this one got our vote for the coolest of them all. 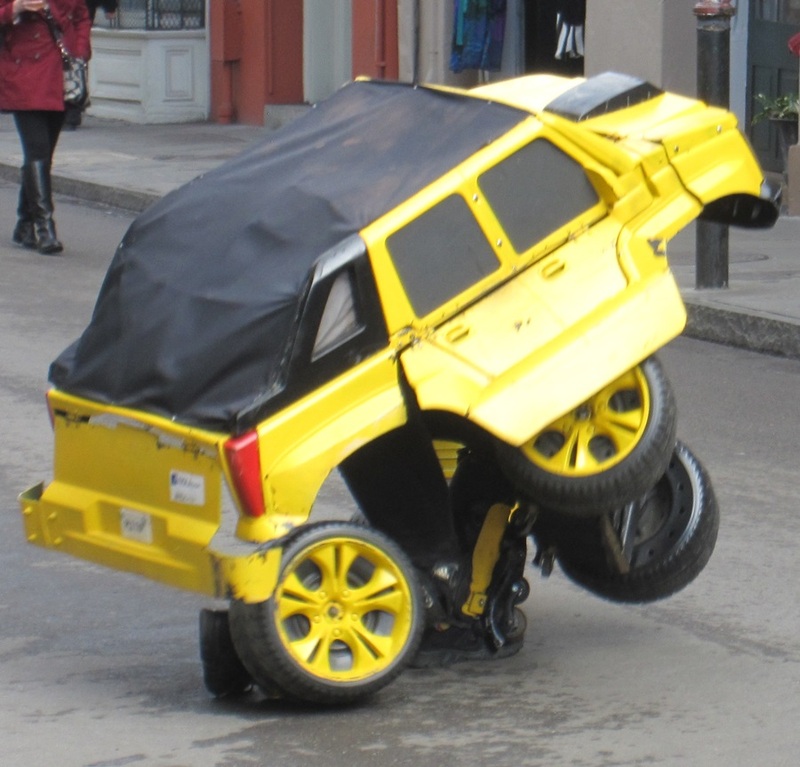 A wearable Transformer Bumblebee Escalade bodysuit that transforms into a moving car. 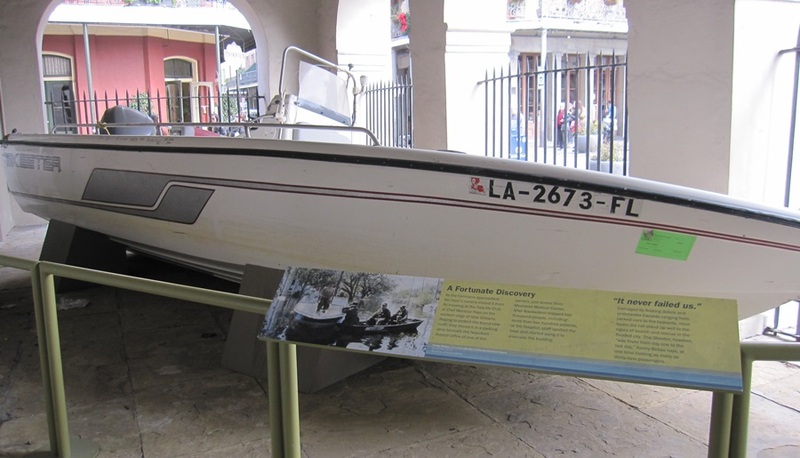 Although not a car this 19 ft Skeeter powerboat is a symbol of New Orleans’ amazing character and great resilience. Placed now as an exhibit at the City’s State Museum this particular boat was used after Hurricane Katrina to rescue over 400 people stranded from the storm. Toyota surprised us all today at the North American International Auto Show with the reveal of their stunning FT-1 sports car concept. First devised by Calty Design Research in the Sony PlayStation Gran Turismo game environment, the FT-1 concept leapt from the screen to the stage in a race-inspired press conference at Detroit’s COBO Hall. The name says it all. FT-1 stands for “Future Toyota,” and the number “1” represents the ultimate. According to its designers, the FT-1 Concept is the ultimate expression of a Toyota coupe design, building upon Toyota’s rich sports coupe heritage dating back to the 2000GT, Celica, Supra, MR2 and most recently Scion FR-S. In addition, the concept draws inspiration from Calty’s more recent sports car concept work such as FT-HS (2007) and the Lexus LF-LC (2012). The front engine rear-wheel drive configuration locates the cockpit far rearward within the wheelbase to improve weight distribution. This design element also helps create the classic sports car proportions one would expect from a vehicle poised to dominate even the most challenging road course. The cockpit’s wrap around windshield and side glass openings are a distinct nod to the design of the legendary Toyota 2000GT. The interior is a focused, highly functional “place of business” that locates the driver at the controls behind an F1 inspired steering-wheel. The intimate, low slung cockpit has its A-pillars set far back to help optimize cornering vision and sensation of the cabin’s intimacy. The cockpit’s sense of minimalism adds to the purposefulness of the driver-focused environment with an emphasis on light weight components such as the composite seat covered with just the right amount of padding in only the areas that come into contact with the driver. A color heads-up display keeps the driver’s attention on the road ahead, with vital information projected just above the steering wheel within the driver’s line of sight. While technical specifications are not provided, one can assume that the FT-1 represents an ideally balanced front-engine, rear wheel-drive layout powered by a high performance engine. Beneath a transparent glass hood, an ambiguous engine cover hides a powerplant left to the imagination of the onlooker. With the recent launch of Honda’s NSX concept and the success of Nissan’s GT-R model it’s not surprising Toyota is trying to amp things up with a possible Supra replacement. 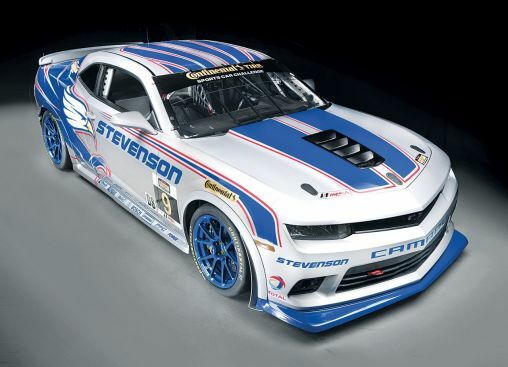 We really hope this one comes to fruition soon as we can’t wait to test this one out on a race track. 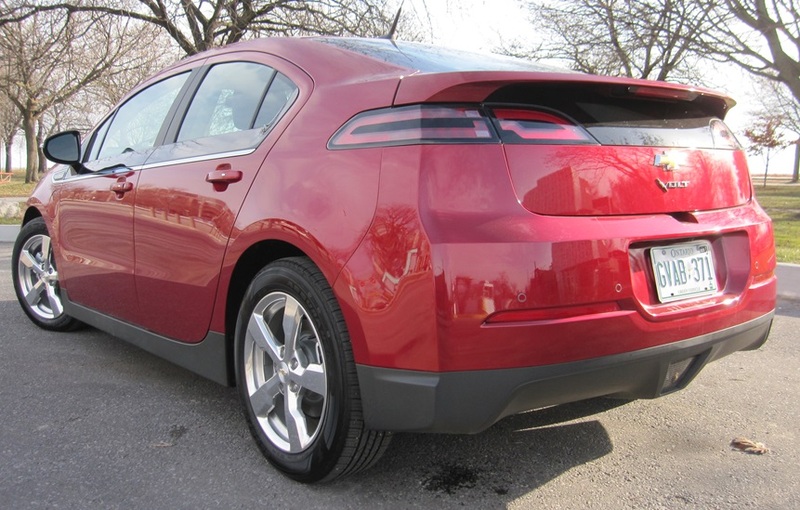 Having reviewed the 2012 Chevrolet Volt back in the summer of 2012 we were curious to see how it compared to the new 2014 model. Upon first glance the two models are very similar in look and feel but after driving the 2014 version for a week it does seem more stately overall. Throughout both experiences I really enjoyed driving the Volt and most of all it is just so fun and convenient not have to go to a gas station. Unlike pure battery electric cars like the Nissan Leaf or even the Tesla Model S, the Volt plug-in hybrid can be driven straight across the country if you desire, while only having to fill up the gas tank every 500 km or so. 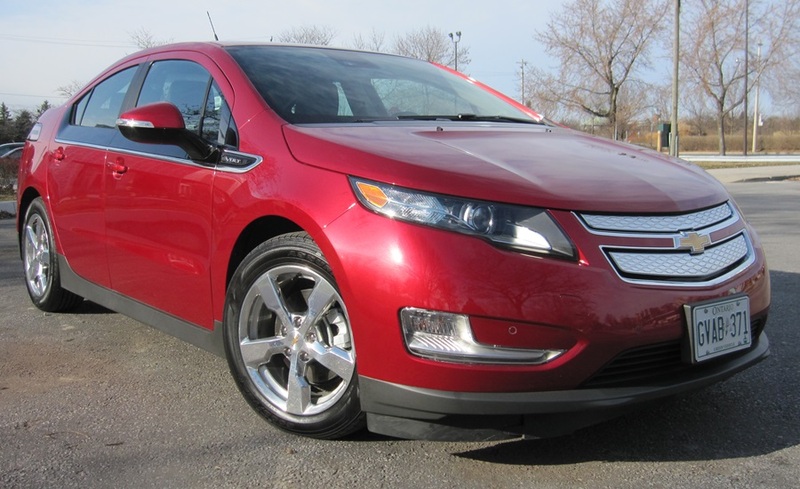 Behind the wheel, the driving mechanics of the Volt are top-notch with ample torque through acceleration and a low center of gravity which provides a sporty “eco” feel. As well, for a small sedan it feels sturdy and carries a genuine confidence even on our snow-covered winter roads. During the test week, I drove back and forth to work for five days while plugging it in a few times in my garage. The cost for the overnight charge is approx $2-3 according to most industry sources so it’s not exactly going to put your utility bill through the roof. In addition, the number of public charging stations is only going to rise as there are now ~ 200 stations in Ontario with more coming all the time. For full details on these public charging station locations see the following map. Having a short commute of only 20 kms round trip makes the Volt a perfect vehicle for the city dweller like me. However, one thing I did notice was the electric range was slightly effected in the cold December temperatures which is to be expected with electric power. The Volt’s gas engine actually turns on initially when the car is started in below zero degree temperatures (Celsius) to assist with heating of the engine. However, in spite of this, the fuel use was negligible as after the week the fuel gauge had not moved. The news just keeps getting better for the plug-in 2014 Chevrolet Volt which now costs $3,000 less than it did initially since Chevy Canada cut the price from $41,545 to $38,595. However, along with the healthy $3,000 drop, there is also the combined purchase incentives available in Ontario, Quebec and British Columbia that increase the Volt’s value. For example, here in Ontario, the current incentive value is $8,231 (CAD) resulting in the Volt’s starting price being reduced to $30,364 (CAD). At this price, it’s surprising GM is not selling more Volts as it really is a practical car for a variety of consumer audiences. Something else consumers should be aware of is the fact that the government of Ontario also offers up to $1000 towards the purchase and installation of a level 2 home charger as well as the green licence plate which provides access to the HOV lane network even with only one occupant up until June 30th, 2015. 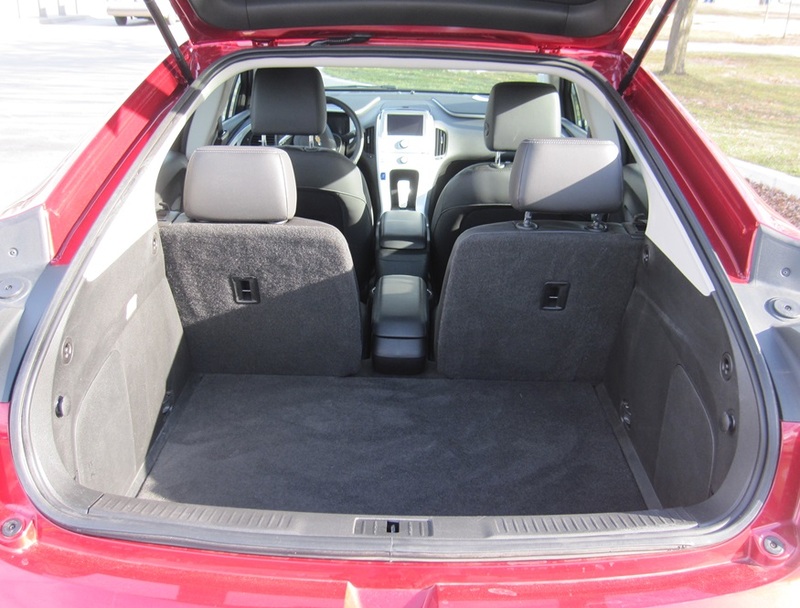 Many people are not aware of the Volt’s overall practicality as a four-door, four-seat hatchback with tons of storage space. Having packed the Volt with our Christmas gifts along with ski and snowboard equipment, I can honestly say it has almost as much room as our 2008 Ford Escape. With the rear seats folded down it is quite cavernous in the back compartment. The only real drawback as a result of its electric power is the loss of the middle rear seat which is taken up by the multiple batteries. The Volt’s interior is very luxurious and includes the typical bells and whistles we have come to expect from a car priced in its range including; electronic stability control, seven-speaker Bose® audio system with subwoofer, 7 inch touch screen display with Turn-by-Turn Navigation, SiriusXM®4 Satellite Radio and the very cool Siri Eyes Free for iPhone users. 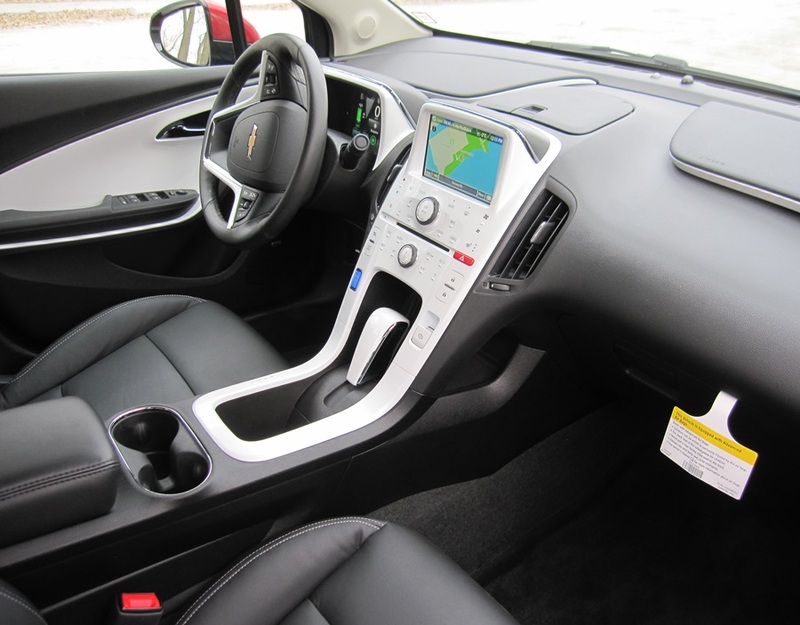 Having reviewed two different models years, I can say with honesty that the Chevrolet Volt is a great all around car with tons of functionality for almost all drivers. It’s certainly worth looking at closely if you are in the market for a four door sedan. One additional deciding factor about the Volt vs. an efficient gas-powered vehicle is the lower expected maintenance of electric vehicles as a result of them having less moving parts. This theory will be tested by the industry over the next few years as more plug-in electrics hit the market but most experts agree costs maintenance costs should be lower. As well, GM Canada is offering a 160,000 KM or 8 year warranty on the battery which provides owners with piece of mind. Currently, there are several key competitors for the Volt including the Nissan Leaf and Mitsubishi Motors’ i-MiEV which are both full battery electric vehicles. The Ford Focus EV and the plug-in version of the Toyota Prius also provide more competition on the plug-in side while the new BMW i3 is expected to be available in Canada by mid 2014 although it is priced slightly higher than the Volt.